Here’s my to-read list for 2014. It’s incomplete, always changing, and I’m sure I won’t get to all of these, not by a long shot, but it’s a convenient list when I’m choosing my next book. You may see a few of them featured on Books Can Save a Life. I’ve included titles that will be published in 2014, so you won’t find all of them on the shelves yet. If you have enticing choices on your list, please share them in the comments! Watch for my book giveaway in February to celebrate the second anniversary of Books Can Save a Life. 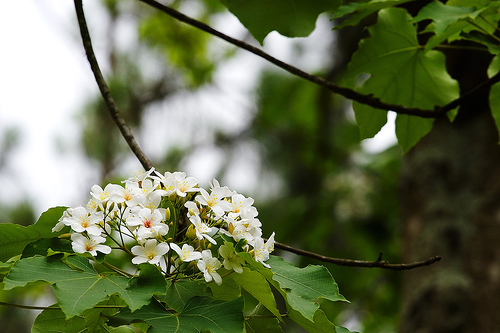 She looked at the two old brothers…. I want you to think about taking this girl in. No, Maggie said. I am not. They were dumbfounded. They looked at her, regarding her as if she might be dangerous. Then they peered into the palms of their thick callused hands spread out before them on the kitchen table and lastly they looked out the window toward the leafless and stunted elm trees. 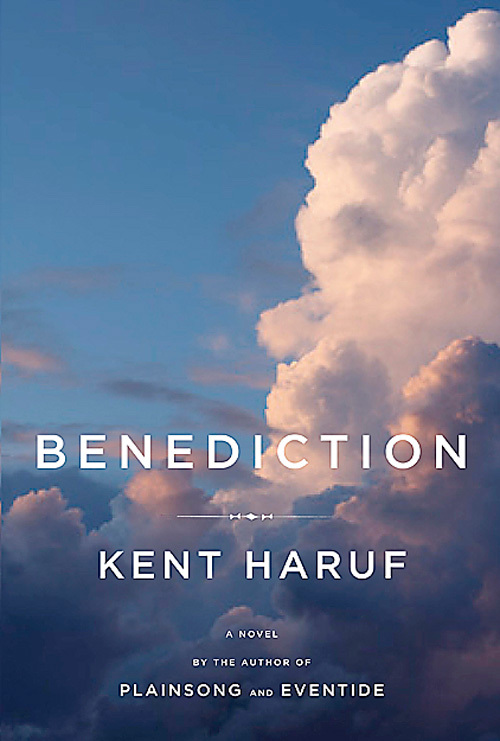 Yesterday I finished reading Kent Haruf’s new novel, Benediction, about an elderly hardware store owner, Dad Lewis, dying of cancer. I realized it was three years to the day since my father passed away from cancer. More than a coincidence, probably. I imagine something unconscious was at play. But I would have read this book eventually, no matter what, because I read everything Haruf writes. 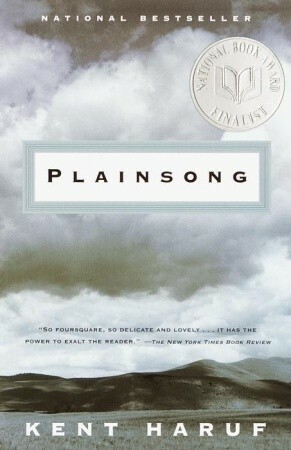 My devotion to Haruf began when I read Plainsong, which he published in 1999. One of Haruf’s critics describes Haruf’s work as “exalted.” If you want to be exalted, get a copy of Plainsong or Eventide or Benediction and drop into the lives of the folks who live on the dry plains in the fictional town of Holt, Colorado. Haruf writes about goodhearted people way off the beaten path trying to do the right thing. 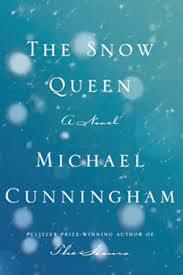 His prose is entrancing, deceptively simple, powerful. You may begin to be lulled by the humanity Haruf captures on the page, but before you get to feeling incredulous he hits you with some dark reality: bigotry, abuse, cruelty, abandonment, addiction. I was surprised Haruf said in an interview one of the books that most influenced him as a writer was Ernest Hemingway’s The Sun Also Rises, a novel that underwhelmed me both times I read it. 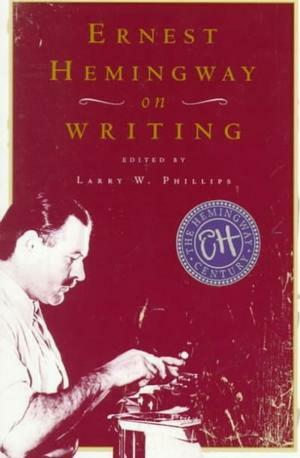 But in Haruf’s plain, spare prose I can see Hemingway’s legacy. And it reinforces my interest in how what we read speaks to us, personally. That’s going to be different for everyone. Benediction is a beautiful book, but an especially quiet and somber one. If you want to sample a novel by Haruf, I suggest you begin with Plainsong, which has more action and a greater diversity of intriguing characters, followed by Eventide and then Benediction. All are set in Holt, in eastern Colorado. Plainsong and Eventide are companion novels that feature the same cast, while Benediction introduces a new set of characters. I suspect Haruf may continue their stories in a future novel. In Benediction, an eighty-year-old woman, two sixty-year-old women, and an eight-year-old girl skinny-dip on a hot afternoon in a muddy water trough for cattle. Cool and refreshed, they lie down under a tree in their thin, sleeveless cotton dresses to take a nap. Somehow, Haruf makes this scene riveting. It is emblematic of his writing. Two of my favorite characters in all of fiction are Plainsong’s rough-hewn cattle ranchers Harold and Raymond McPheron, who take in Victoria Roubideaux, a homeless, pregnant teenager. They are so sweet, and clueless to the point of hilarity. One of the funniest scenes I’ve ever read is their visit to the ob-gyn with Victoria. As much as I enjoyed Benediction, the McPheron brothers from Plainsong and Eventide will always be in my heart. Raymond, you’re my brother. But you’re getting flat unruly and difficult to abide. And I’ll say one thing more. This ain’t going to be no goddam Sunday school picnic. No, it ain’t, Raymond said. But I don’t recall you ever attending Sunday school either. Quotes from Plainsong, Kent Haruf. Vintage Books, New York: 1999. I believe that basically you write for two people: yourself to try to make it absolutely perfect; or if not that then wonderful. Then you write for who you love whether she can read or write or not and whether she is alive or dead. – Ernest Hemingway on Writing. 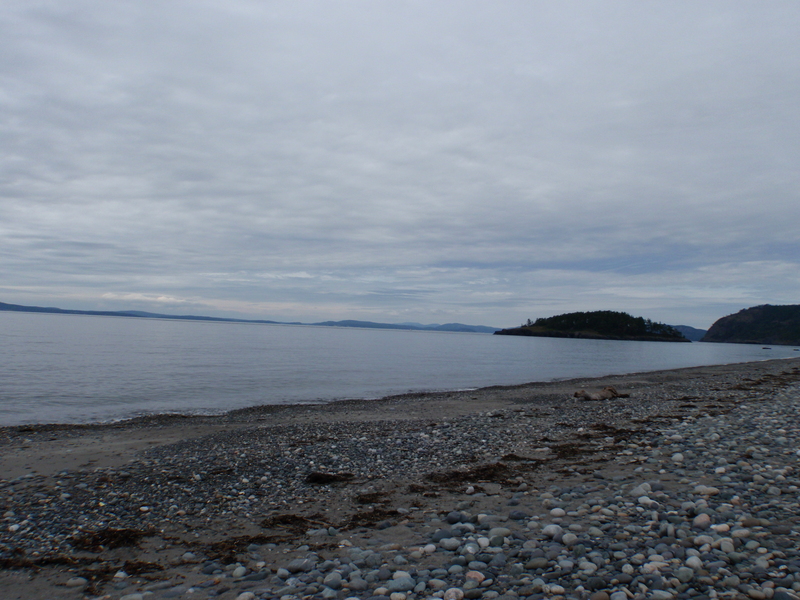 When I visit a new place, I like to read the literature associated with that place or the literature created there. So when I went to Key West last month and the home of Ernest Hemingway, I reread The Sun Also Rises, which Hemingway wrote there, followed by A Farewell to Arms. Last night I finished For Whom the Bell Tolls for the first time and went to bed feeling rather devastated. In my last post I was dismissive of The Sun Also Rises. When I read it the first time, in high school, I didn’t understand the novel. Decades later, I again found the characters tedious, which was Hemingway’s intention, but I at least better understood the context of those alienated, war-devastated years. His writing style, a breakthrough in Hemingway’s time, was for me so stilted and self-conscious it sometimes pulled me completely out of the story, and I especially disliked his sole female character, Lady Brett Ashley. My post about Hemingway generated a handful of interesting and insightful comments, all by women and mostly about Hemingway’s ego and sexism and macho persona. I wish my blog attracted more male readers, but I have noticed some gender segregation in the book blog world, and I can understand that. I tend to gravitate toward female authors, and when I find I’m reading only books written by women, I’ll switch to a male author. 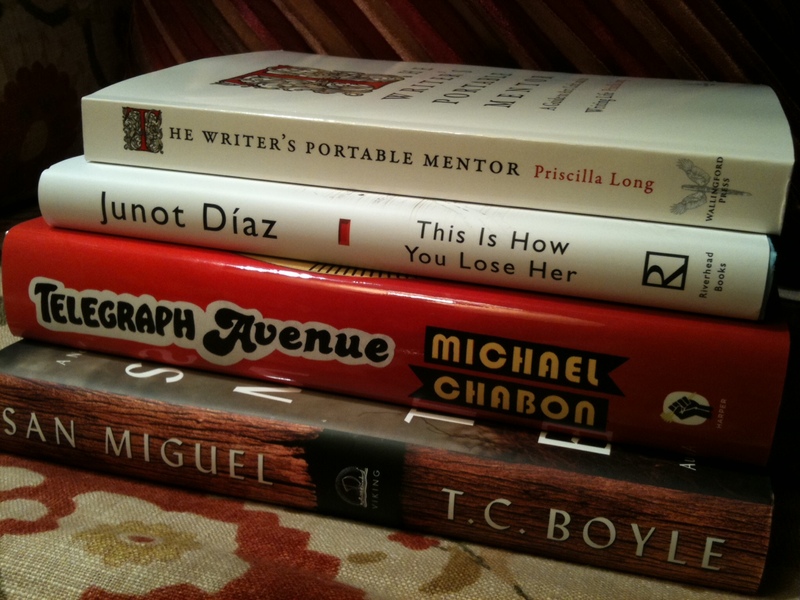 Reading Junot Diaz, for example, was a stretch for me, but I’m glad I did. I had to talk myself into reading Hemingway again, too, but I’m glad I did that as well. I felt uncomfortable after I was dismissive of The Sun Also Rises, and I thought about that as I read Hemingway’s other novels. Because when all is said and done, I believe Hemingway is a master and, despite my personal reactions to it, I believe The Sun Also Rises is a great book. Visiting Hemingway’s home in Key West and looking at the many candid photos on every wall in every room, I sensed something of his spirit lingering. Reading The Paris Wife and Ernest Hemingway on Writing, I saw not just Hemingway the god-like, iconic writer but Hemingway the vulnerable artist. I don’t do the close reading of a literary scholar or a book critic, though I admire those that do. On this blog, I don’t write book reviews, and I’ve been frustrated occasionally when I hear people say I do, although I understand why they wouldn’t make these distinctions. If you were to ask me to write a book synopsis or a book review, I’d have no enthusiasm for it. (And I’m a librarian.) Here, I want to share and talk about our own, highly individual reading journeys and our personal reactions to the books we read. I think if you’re an avid reader, books help to make you the person you are, and that’s going to make a difference in what you do and who you are out in the world. I disliked Lady Brett Ashley because she was self-centered and slept with every man who came her way (except for Jake Barnes). Then I realized the men in The Sun Also Rises were the same, yet I wasn’t as critical of them. I held the female to a different standard. When I was young I accepted and enjoyed Hemingway’s fictional romances without question. I didn’t find them sexist or offensive until literary opinion told me I should, even though I came of age just after the feminist heyday. Now, while I don’t especially enjoy Hemingway’s portrayal of women, I have to say many women acted that way. I think Hemingway understood how we idealize the other in romantic love, and how we look to each other for rescue or at least a safe haven. I have trouble understanding the American Robert Jordan’s idealism and motivation for volunteering to fight in the Spanish Civil War in For Whom the Bell Tolls. But when I think about the Americans in Iraq and Afghanistan, I’m bothered that many of us are so emotionally removed from the reality of these wars and the sacrifices a small number of Americans are making. 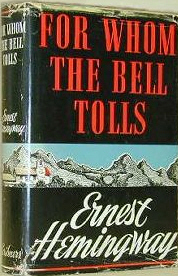 Since I’m not especially attracted to war novels, at first I didn’t take to For Whom the Bell Tolls. I didn’t want to follow Robert Jordan and the others on their mission to blow up the bridge. Of course, I became emotionally entangled in Robert’s relationship with Maria and the others. Hemingway fought and was nearly killed in World War I and reported from the front lines during the Spanish Civil War and World War II, so he understood war and he knew how to write about it. The last one hundred pages of For Whom the Bell Tolls contain some of the most beautiful, poignant and universally truthful passages I’ve ever read. With the final sentence, I do believe Hemingway achieved perfection. 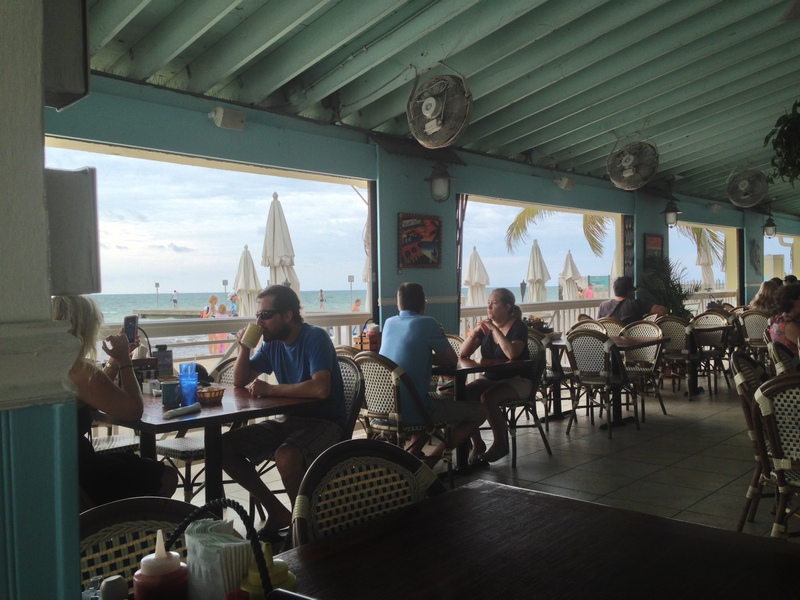 This Key West cafe is the southernmost restaurant in the US, 90 miles from Cuba. I’m sure Hemingway must have enjoyed a brandy (or two or three) here. 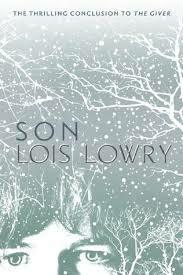 This past fall and early winter there was a perfect storm of top authors publishing new books. I wanted to read a handful of them to see what possesses some of our best creative minds and our popular culture. I wanted to break out of old habits and venture to new places I wouldn’t normally find on my own. Most difficult of all was acclimating to the world of Telegraph Avenue. I almost gave up on it. I couldn’t keep Chabon’s characters straight, I was clueless about the endless blaxploitation and 1970s cultural allusions, even though that was my coming-of-age time, and I sometimes struggled with the rich, complex (and masterful) prose. The great librarian Nancy Pearl has a Rule of 50: Stop reading after 50 pages if you don’t like the book, and if you’re over 50 you can subtract your age from 100 and stop there. So I was well within my rights to stop before 50 pages, but I kept going with Telegraph Avenue, and it was worth it. To me, Telegraph Avenue and Junot Diaz’s books are similar in that I entered completely unfamiliar hearts, minds, and worlds. I’m unlikely to stop by a used record store in Oakland, California any time soon, or meet the kinds of characters (and I mean that in more than one sense of the word) who might hang out there. 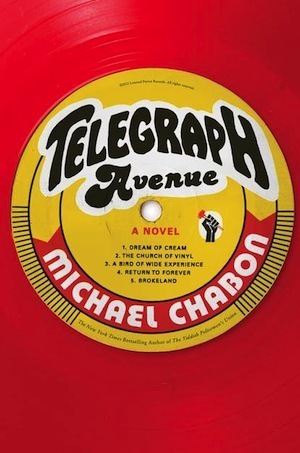 In Telegraph Avenue, Archy (who is black) and Nat (who is white) are best friends, vinyl record shop business partners, and musicians struggling to make a living in a neighborhood that’s seen better days. For one reason or another – race, ethnicity, gender, sexual orientation, changing times – the characters in Telegraph Avenue are outsiders or has-beens or both: former blaxploitation and martial arts stars, connoiseurs of soul and jazz and long-forgotten record albums, fine musicians in their own right. Many are regulars at Archy and Nat’s Brokeland Records, which reminded me of the bar in the TV show “Cheers.” I grew to like and care about these characters in large part because of their passion for music and devotion to their art. My godfather was a jazz pianist, and I dated a jazz musician. I remember how both lived and breathed jazz, in the same way Archy, Nat, and others do in Telegraph Avenue. Music shaped their lives, and when they were playing a gig, they had an aura of dignity and charisma others envied. Yet, both my godfather and the musician I dated played the kind of jazz that was seen by many as antiquated in the 1960s and 70s when music was reinventing itself. There is the same sense of this passing away of art forms in Telegraph Avenue, and of people being rushed headlong into the future while trying to preserve what shouldn’t be lost. If you’ve read Telegraph Avenue, what did you think? Please comment! I’d like to give equal time to new, lesser known, and independent authors, so I plan in the coming months to read a sampling of fiction by some of these writers. If you have a book to suggest please do in the comments. 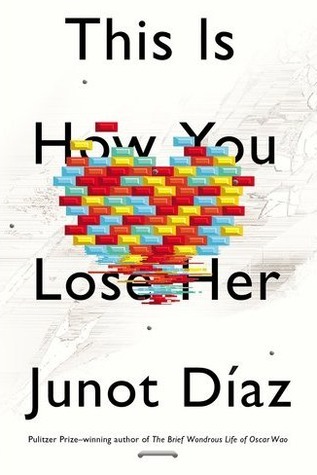 You ask yourself why you’re reading This Is How You Lose Her, the short story collection by Junot Diaz. How could you possibly relate to Yunior, the irreverent, hard-drinking Dominican-born narrator and serial cheater of the most extreme sort? You write this post in second person point of view, as Diaz does in his short story, “A Cheater’s Guide to Love,” just to try it on for size. You read that Yunior cheated on the love of his life with no less than 50 women over six years. And then she found out. Yunior’s ex-fiancee assembles all the damning evidence (emails, photos, etc.) in an album (the Doomsday Book) and sends it to Yunior with a note: For your next book. You think: This is one funny writer. The writing is so musical and overflowing with Spanish, maybe you can brush up on the language: blanquita, moreno, salcedeña, sucio, cuero. Then you realize some of the words are made up, and others are words you’re not likely to use any time soon. Yunior’s suffering seems to know no bounds, as if he’s channeling all the deprivation of his poor, difficult, immigrant life (which the other stories in this collection portray) into mourning his lost love. Yunior visits the Dominican Republic with his friend, Eric, to see Eric’s presumed love child; the child and mother live in the Nadalands, where Yunior’s father was born and where his ex-fiancee is from. Mud, shanties, no running water or electricity, raw sewage. You remember the volunteer work your family did in Nicaragua – you’ve only seen that kind of poverty once and, after a few days, you could return to your comfortable home in America. You know Diaz’s fiction is partly autobiographical and you wonder which parts are true, which are made up. You find the second person point of view can be confusing: Does the “you” refer to Yunior, or to the author himself? Sometimes you think the “you” refers to you, the reader, because by now you’ve become so invested in Yunior you find yourself beginning to understand and identify with him. There is that moment of self-reckoning when Yunior has to face what he has done. You agree with Yunior’s assessment of the half-life of love. You think: this blurring of boundaries between author, narrator, reader – maybe that’s the point. If you’ve read this book, please comment! Quotes from This Is How You Lose Her, Junot Diaz, Riverhead Books, New York: 2012. As fate would have it, one day in April when I went to Joe Bean (whose website has great photos, including one by A. Hallinan) to meet my son and have a cup of incredible coffee, I was given a free book, The Brief and Wondrous Life of Oscar Wao by Junot Diaz in celebration of World Book Night. 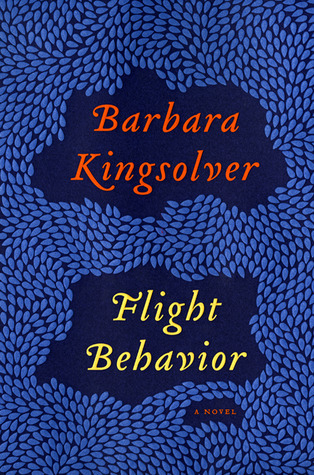 While we’re getting to know this next great American literary protagonist, whose native land is the Dominican Republic, I’ll be posting from Argentina, where I’ll also be rereading Imagining Argentina, visiting a larger-than-life bookstore, and….well, we’ll see. Quotes from This Is How You Lose Her, Junot Diaz, Riverhead Books, New York, 2012. I love it when I find new books waiting on my doorstep. The Housekeeper and the Professor by Yoko Ogawa is a quiet story you’ll want to experience just for what it is. A story I don’t want to say a lot about, because too much talking will diminish it. The Professor is a number theory expert with a traumatic brain injury. He remembers nothing after 1975, with one exception: in the present, his memory lasts exactly 80 minutes. He rarely leaves his house. He wears scraps of paper pinned to his clothes to remind him of the important things: “My memory lasts only eighty minutes” and “the new housekeeper” (next to a sketch of the housekeeper’s face). He must live in the moment because that is all he has. He is a humble, self-effacing man who loves baseball and the great Japanese pitcher, Yukata Enatsu. The housekeeper, a single mother, has come to cook the Professor’s meals, clean his small bungalow, and tend to his needs for a few hours every day. Her son has never known his father. The Professor nicknames the housekeeper’s son “Root” because the top of his head is flat, like the square root symbol. These three lonely people become a self-made family. 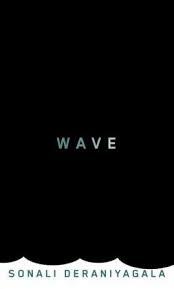 They find peace and refuge in the daily rituals of preparing and eating a meal, solving a math problem, listening to the radio. When the Professor isn’t lost in his numbers or helping Root with his math homework, he likes to watch the housekeeper prepare dinner. With great fascination and single-mindedness he observes her stuffing and wrapping dumplings; he’s entirely caught up in the watching. Surprised by the undivided attention the Professor shows her, the housekeeper is given to understand she and her daily tasks are not insignificant. They attend their first baseball game together. We see the stadium, the lights, the players, the crowds as if for the first time through the eyes of Root, the Professor, and the housekeeper. The Professor buys Root popcorn, ice cream, and juice only from one particular girl selling food in the stands. “Because she’s the prettiest,” he says. In her spare prose, Yoko Ogawa never uses the word “love,” but that is what this story is about. Quotes from The Housekeeper and the Professor, by Yoko Ogawa, Picador, New York, 2009. He’s a man. Most men think they are God. If you’re a man who ends up on Lifeboat 14 adrift in the Atlantic Ocean, you’d better play your cards right. The women tend to fare better. On this particular lifeboat, being a traditional male authority figure of the time (1914) will take you only so far. Whereas, if you get along with people, if you’re nurturing and supportive, if you’re a rock of strength and give people what they need, even though you’re a woman you can then manipulate them just a little to get them to do what you want…..
Charlotte Rogan’s The Lifeboat is the PERFECT book for reading groups and book clubs, especially those with both men and women, because you’re going to have great discussions about gender, the battle of the sexes, how men and women use each other…..the whole ball of wax when it comes to male/female relations. And that’s just scratching the surface of this confounding book. The Lifeboat is about morality – the difficult, impossible choices we make to survive, and how we justify those choices after the fact. It’s the kind of book I want my family and friends to read so they can help me sort out who is right and who is wrong, which characters have the moral high ground and which ones don’t. 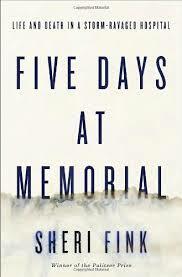 On page 16, at the end of the chapter entitled “Day One,” the narrator, Grace Winter, makes a statement I found morally repugnant. I don’t like this woman, I thought. In her place, I’d make a very different decision. If you’re reading or have read The Lifeboat, what do you think it says about men and women? Are there particular incidents from the book you can’t get out of your mind? Does it leave you feeling morally confused? Please comment below. I’d love to hear from men and women!